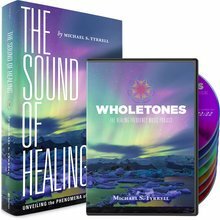 "Sitting back and relaxing while listening to Wholetones: The Healing Frequency Music Project is one of the best—and easiest—ways I know to alleviate stress, reduce anxiety, and heal from the inside out. 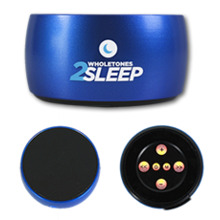 "Sitting back and relaxing while listening to Wholetones: The Healing Frequency Music Project is one of the best—and easiest—ways I know to alleviate stress, reduce anxiety, and heal from the inside out..."
And until now, listening to Wholetones required a CD player, computer, or headphones to plug into your phone or tablet. All excellent ways to absorb the healing frequencies! 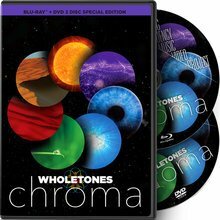 But if you want to take Wholetones to a picnic... to work... or even share it with someone in a hospital or nursing home—it’s not convenient for you to lug around all the required equipment to play it. And earbuds won’t cut it when you want to share the healing songs with friends and family. •Massively improved high fidelity speaker with a sound quality that will blow your mind! •Enhanced volume controls with lower “lows”, so you can play the music very softly and higher “highs” that make it sound like you have a huge stereo playing! •New Bluetooth mode allows you to connect your phone or other Bluetooth device to the player and play your own music whenever you want! •Carry ring also doubles as a handy speaker stand!